Instagram has become a significant way for musicians and celebrities to connect with their fans. Because most artists and bands post live content as they go, it’s not the easiest thing for bands to be intentional and cohesive with their Instagram. However, we found a few accounts that have done a fabulous job connecting with their fans while maintaining a visually inspiring Instagram feed and staying true to their voice and style. 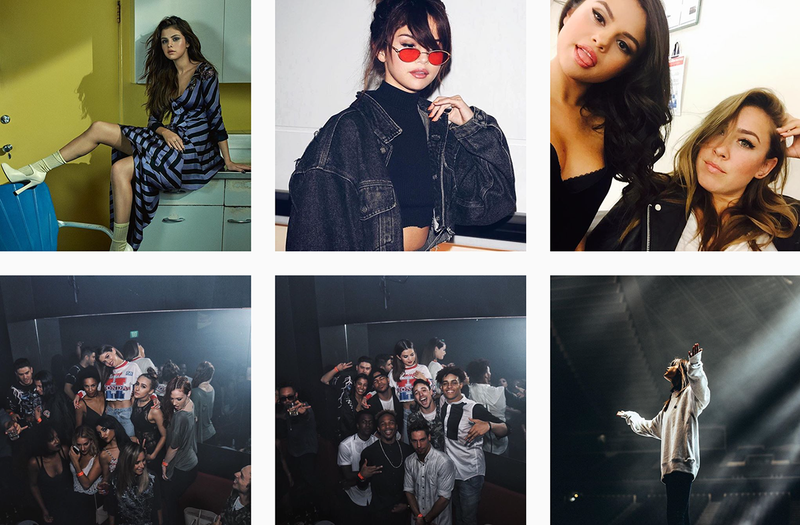 @selenagomez is a great example of an artist using Instagram in a successful way. Her fans love following along because she posts beautiful content that is both personal and engaging. Selena’s posts range from gorgeous behind-the-scene shots to silly videos of her eating donuts. 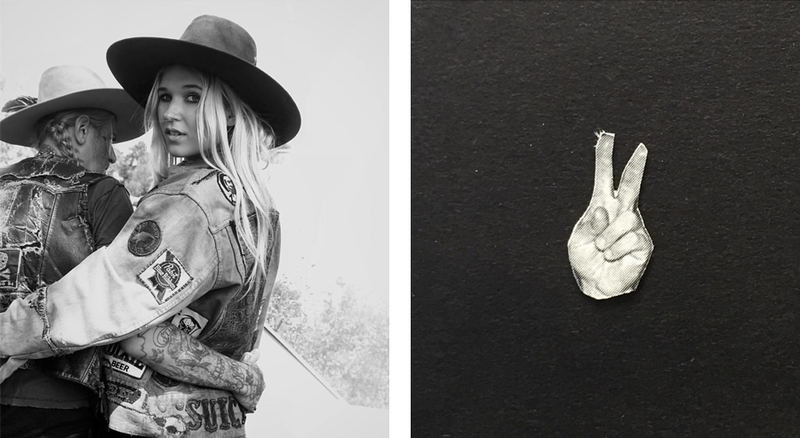 Either way, she is the reigning queen of Instagram. 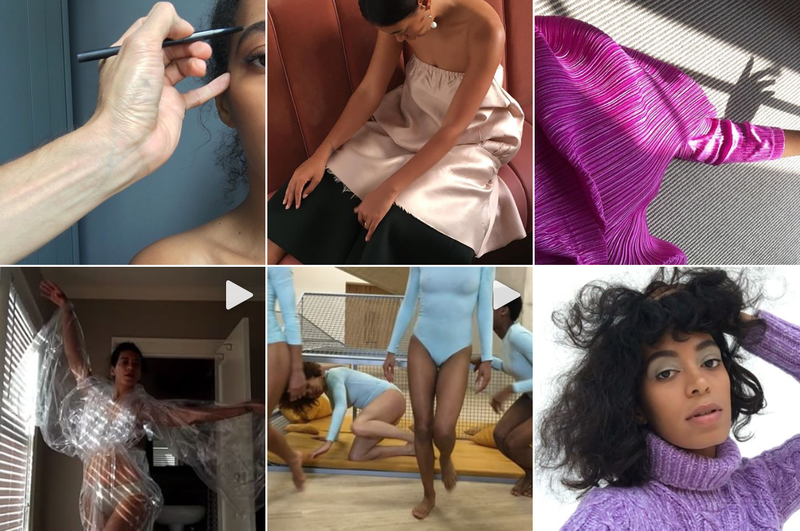 We love the way Solange Knowles, @saintrecords, arranges her feed in such an artistic and eclectic way. Every post is intentional and tells its own story. She has a very unique eye for design, and connects with her fans by bringing them into her world. Every post leaves us in awe and we look forward to seeing each new post! 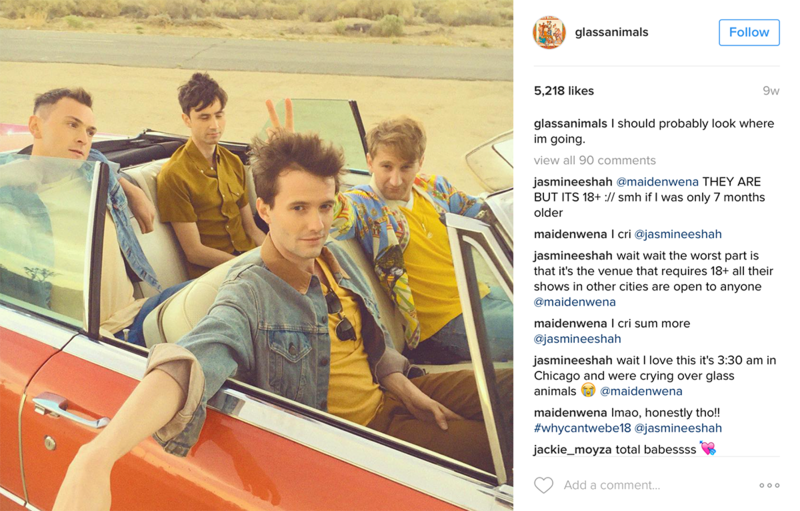 @Glassanimals is one of the quirkiest and coolest bands out there. These guys don’t take themselves too seriously, and their Instagram shows it. Their posts reflect their music in a really fun way. We love the way they always include hilarious captions on their photos as well (read their caption above, LOL). Look out for tons of music teasers, goofy photos, bright colors, and so much more on their grid! Dream-pop duo, @OhWonderMusic, has their Instagram game on lock. They post incredible pictures from their tour, live performances, and everything in between. The band numbers each post and always adds quirky and engaging captions. We also love the way they post every photo in a landscape style –Instagram perfection! If the edgy vibe is more of your thing then follow indie rockers, @wild_belle. This band has all the sass, and their Instagram shows it. The combination of black and white photos and amazing vintage style reflects their music perfectly. Their grid has a very “1970’s rock n’ roll” feel to it, and we are seriously digging it. Hope you loved our picks! If you have any music Instagram’s that you love, let us know via IG or Twitter!